(former location of Bari) is opening soon. 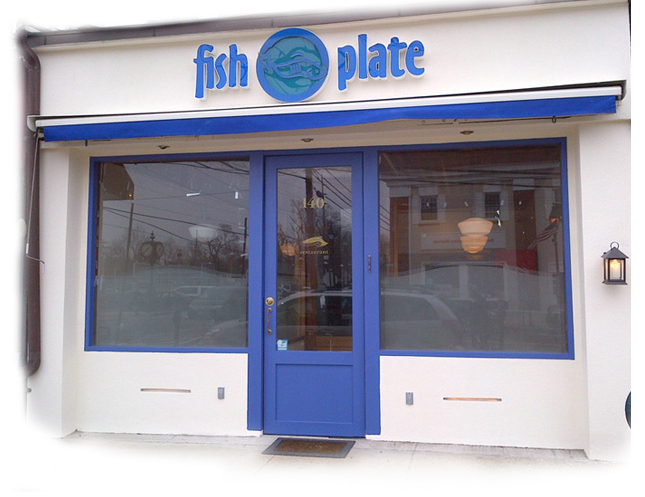 The restaurant has styled themselves after the very popular Fish Grill in California. Click here to see their menu. located on Broadway (former Sapore) in Woodmere has their grand opening today. * The old location of Sabra's/Ruthie's will be opening soon after Shavuos with the name Pizza'le and under the same owner as "Burgers" which is across the street. * Word is that Kind David and Off the Grill, which are both closed right now, are being looked at and under negotiation and both will soon have new owners. opened at 414 Route 59 in Airmont. The place is stylish with reasonable prices. Just a few months after taking over the location which housed Mosaica, Et Al Trattoria has closed. I think it's the end of the line for that space, in terms of a kosher restaurant at least. "The Dairy" is the next restaurant project of Vintage Kosher, the parent company of Citron and Rose and Catering by VK. The Dairy will be a casual, kosher dairy restaurant, featuring breakfast, lunch and a light dinner menu. The Dairy is expected to open sometime in the Fall of 2013. Stay tuned for more details as the project develops. A one-stop Kosher Shop, Restaurant, Bakery, Fish Market, Candy Shop & Catering Facility opened yesterday. The restaurant will be serving breakfast, lunch and dinner and the cafe area will be under the Coffee Bean & Tea Co.